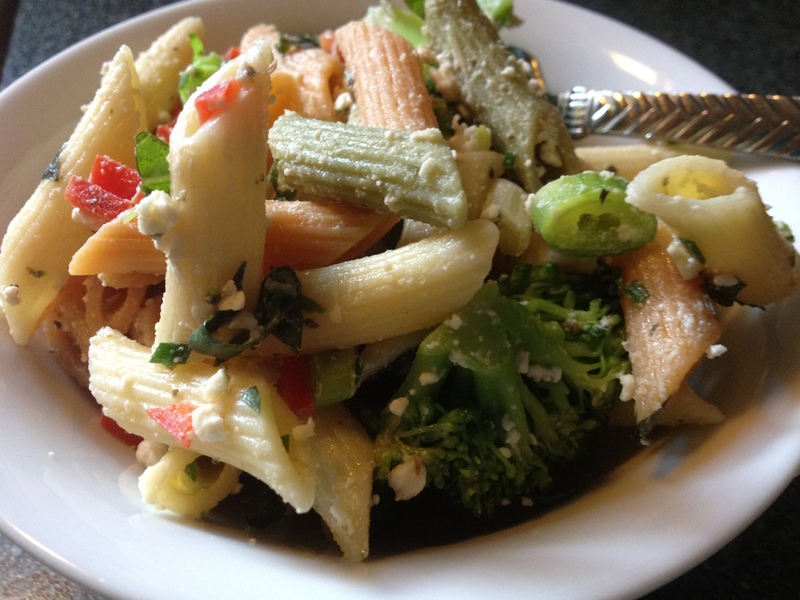 Macaroni Salad…not like your mamma’s! Just snacking on a tri-color macaroni salad made with a large broccoli crown, one red pepper diced and two small bunches of green onions. It’s dressed with one part D’Avolio Garlic EVOO and D’Avolio Picual EVOO from Spain. I added fresh basil and garlic chives and some Feta cheese. That’s the recipe…no measuring. Everything is raw except the broccoli which I cut into tiny pieces and added to the macaroni the last three minutes. Cool the macaroni immediately then add everything but the cheese. Mix well then add the cheese and fold lightly. Best if chilled for at least 2 hours before serving. Have a yummy day!! !